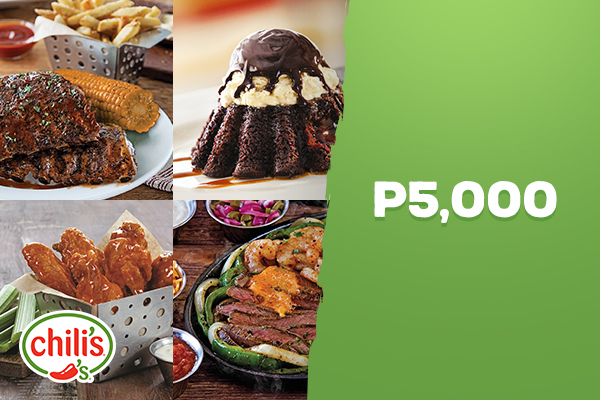 Now on its 17th year in the country, Chili’s remains a mainstay name for hungry diners who are craving classic American comfort food with distinctively Southwestern flavors. Feel like having mouth-watering burgers paired with ice-cold beer? Then you’ve come to the right place. But of course, as any regular customer knows, the menu goes beyond just burgers and beers. Expect occasional additions and seasonal highlights, complimented by Texan-inspired classics that are here to stay. Looking to celebrate? Find a Chili’s near you. Order your favorite for delivery and get a free soda to go with it. • Get two items served on a single platter. What a great way to share.